Home automation and security systems is a specialized field dealing with specific requirements of homes in the usage of easy-to-use technologies for security and comfort of the residents. Home automation includes all that a building automation provides like the climate controls, door and window controls and security etc plus additionally controlling multimedia home theaters, pet feeding, plant watering, blinds and so on. But there exists a difference in that home automation emphasizes more on comforts through ergonomics and ease of operation. With the fast development in the field, door ways for wireless home automation system is being opened in a big way. We design different types of automation solutions for home use. Home consumers like you have a choice to make that suits your pocket and need alike. we will design a control system that suits your needs. Here each device like the heater or your AC will have an independent control dedicated for it as well as the central control system. These are very handy and are user friendly. The main feature of this type of systems is emergency shut-down. Rest of the features includes hardware and software components developed under SCADA (special software) for better control automated control that reduce human interaction. With this you can preset or change the control parameters, for example, the thermostat of several ACs and ON/OFF timings. 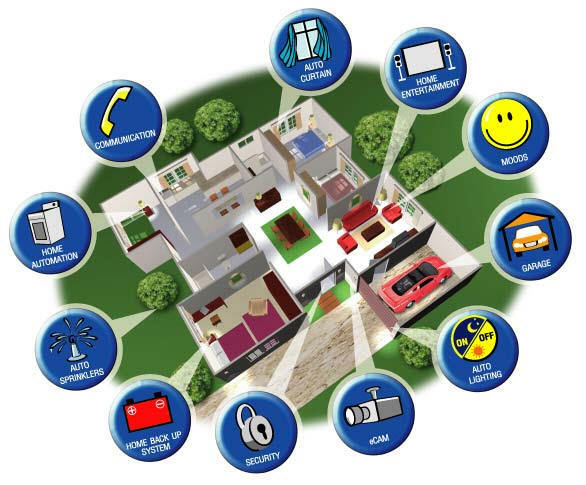 These are computerized systems programmed to handle all functions of multiple utilities like ACs, heaters, home entertainments, doors, windows, refrigerators and cooking systems etc regardless of whether you are home or out. 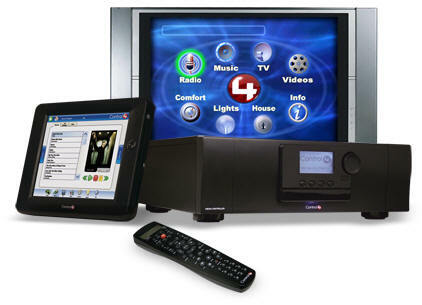 You can connect to your control system from the office through telephone or internet. The best part of this is, with computerized control, you can afford to forget things and still be safe and timely on controls.